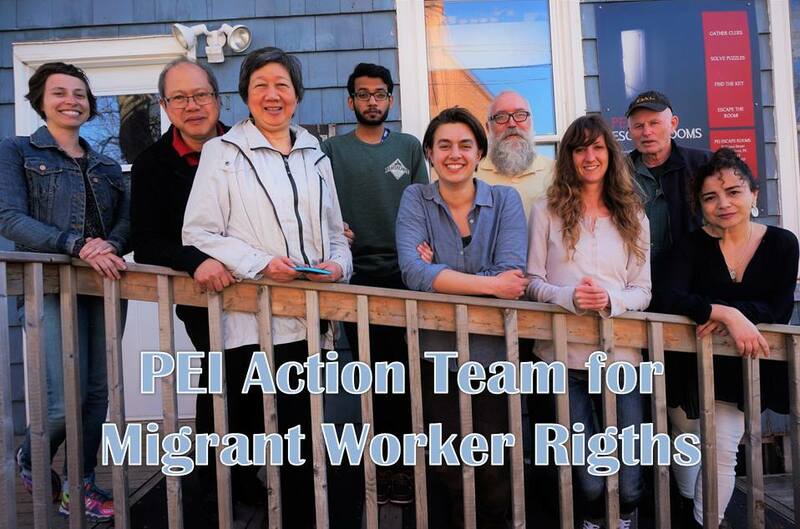 The PEI Action Team for Migrant Worker Rights is an initiative of Cooper Institute, a group of volunteers working to improve the conditions of Migrant Workers in PEI. The Action Team advocates for migrant workers' rights and the improvement of their status in our country, and helps facilitate their integration into the community. "We want to be a source of information about issues related to migrant workers in our community as well as throughout Canada. Today May 1st we inaugurate this space and we commemorate the international workers day and the struggle around the world for the rights of all workers." Find out more about the Action Team by visiting its Facebook page.